Everyone is still talking about the Royal Wedding and so I am! 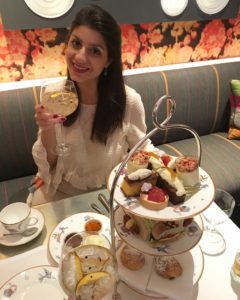 I celebrated the royal wedding weekend with a luxury afternoon tea with a Twist! 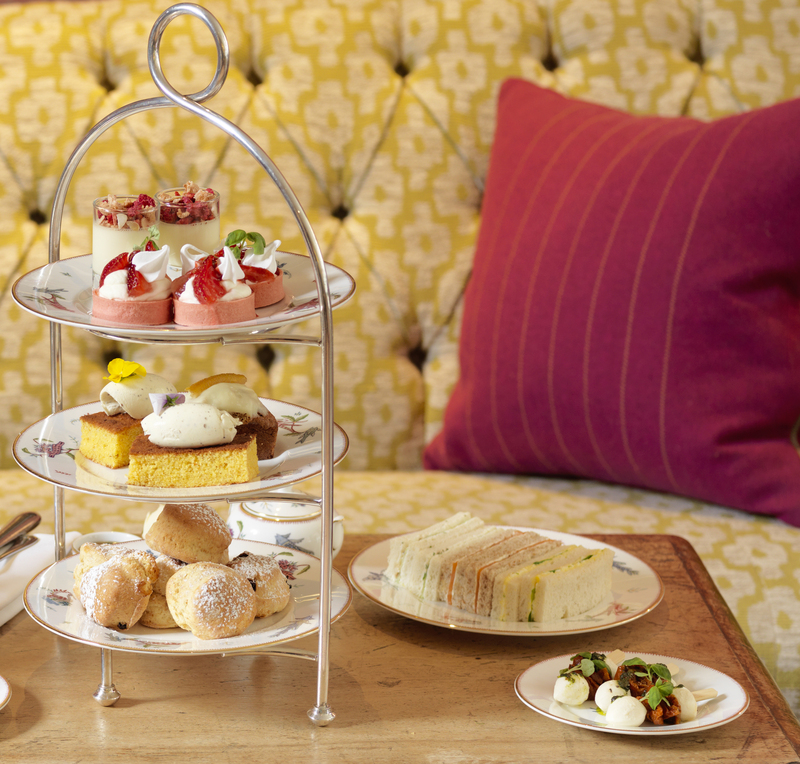 The Soho Hotel, in the heart of central London, in between Dean and Wardour Streets, has recreated the classic English Afternoon Tea infused with Mediterranean flavours found in Gin Mare. This unique gin experience has been designed for summer 2018 and is available until 31st July. 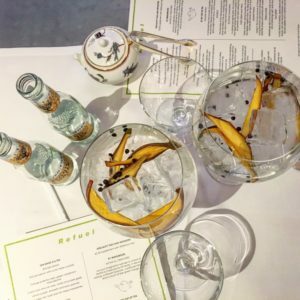 Gin Mare, for some who haven't had the pleasure of tasting is a Mediterranean gin distilled by blending arbequina olives, thyme, rosemary, basil and cardamom, with sweet oranges from Seville, bitter oranges from Valencia and lemons from Lleida. 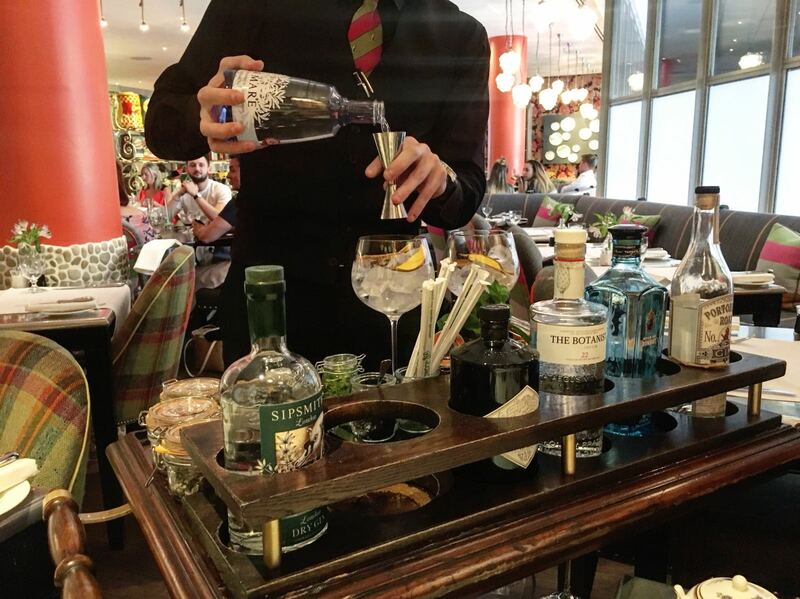 I know this from our Italian bartender who rolled up to us with the Soho Gin trolley, (part of the new Firmdale G&T experience). He introduced us to Gin Mare and graciously prepared two deliciously fresh Gin & Tonics with peppercorn and slices of hydrated mangoes for my partner and I.
Firmdale's partnership with the renowned gin brand Gin Mare has gone further to launch Mediterranean-inspired afternoon tea treats to compliment the famous G&T. We were served an assortment of savoury and sweet treats. Savoury snacks included olive panini, grilled courgettes, feta and roasted red pepper, complementing the undertones of arbequina olives used in the gin. A delicate skewer with fresh mozzarella, basil and sundried tomatoes, along with more traditional afternoon tea sandwiches with fresh fillings including cucumber, salmon and chives. To my guilty pleasure the sweet treats were numerous and delicious! Ranging from a playful twist on the traditional Eton Mess tart with basil & Gin Mare strawberries, orange polenta cake with green cardamom mascarpone and carrot & olive oil cake with white chocolate glaze; all transporting my taste buds to a Mediterranean mini feast. Last but not least were the British scones with clotted cream and fruity jams completing the afternoon tea experience. 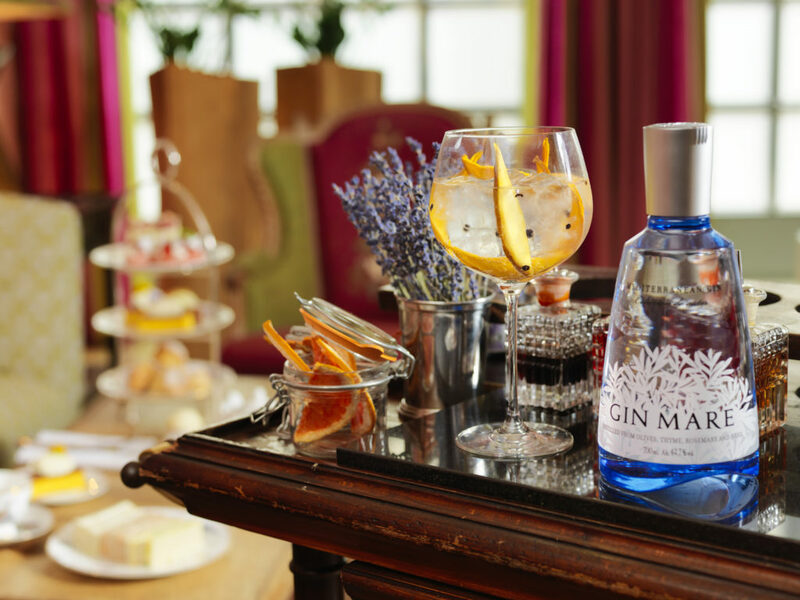 The Gin Mare G & Tea is served all day and can be taken in Refuel Bar and Restaurant or the hotel’s charming drawing room. 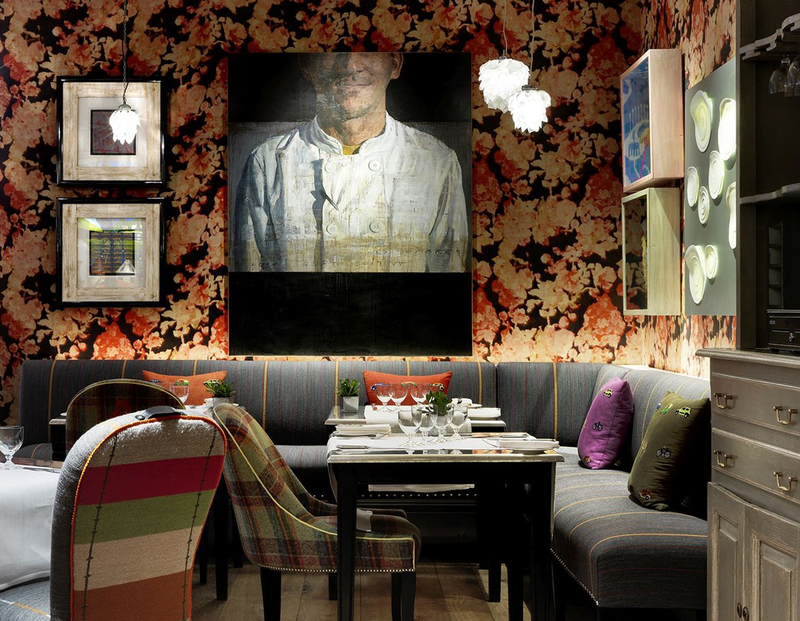 The interior of the Soho hotel is modern with an impressive art collection. Every room is styled uniquely with different textures and colours. 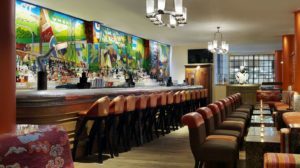 Don’t miss out on getting whisked up by The Soho Gin Trolley and watch the making of a fresh Gin Mare cocktail from one of the talented bartenders while indulging in a Mediterranean infused feast. Bookings can be made online by clicking here or by calling the hotel on 02075593007. 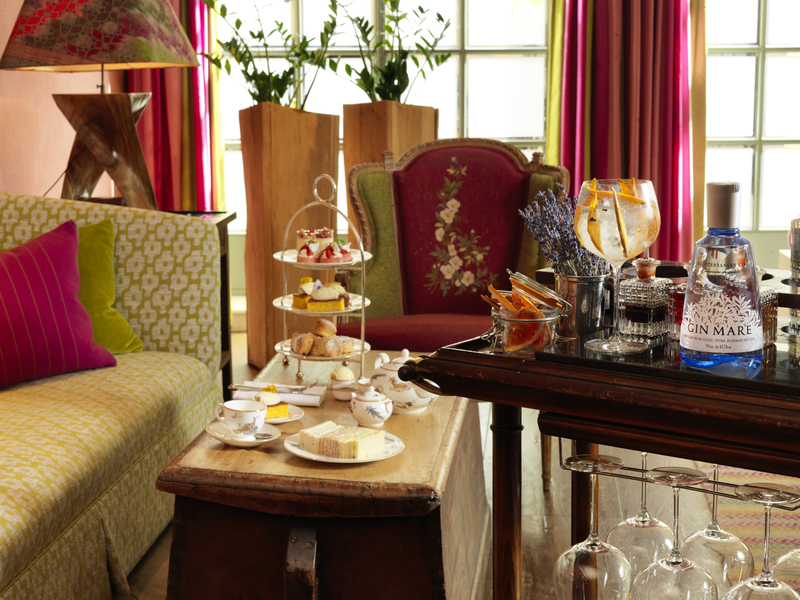 A special thank you to Luxuria Lifestyle, Soho Hotel and Wild Card for arranging a pleasantly gin twisted afternoon tea!